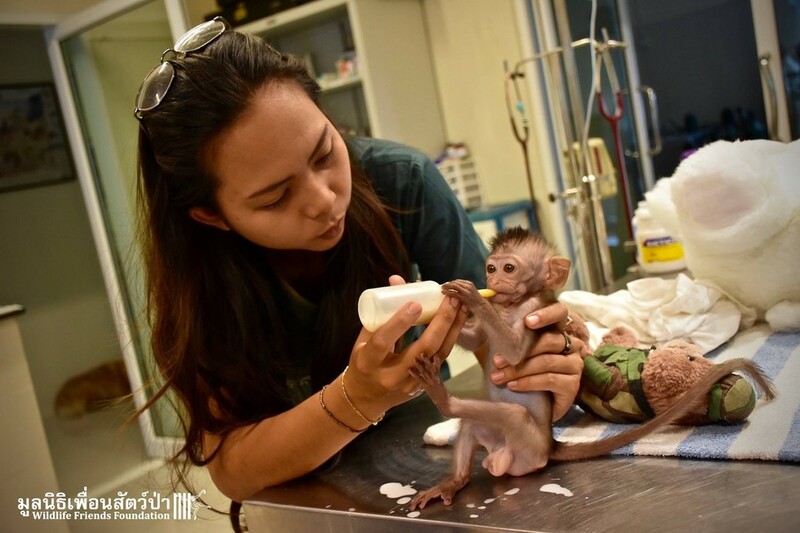 Phubai, an eight-week-old long-tailed macaque, was left all alone to fend for himself after he was abandoned by his mother. 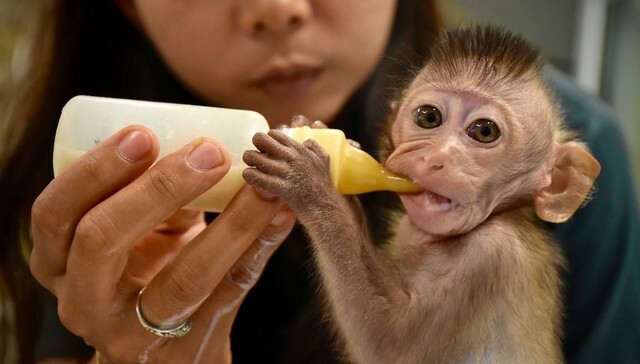 He was found alone after a program to try to control the macaque population took place in his habitat. 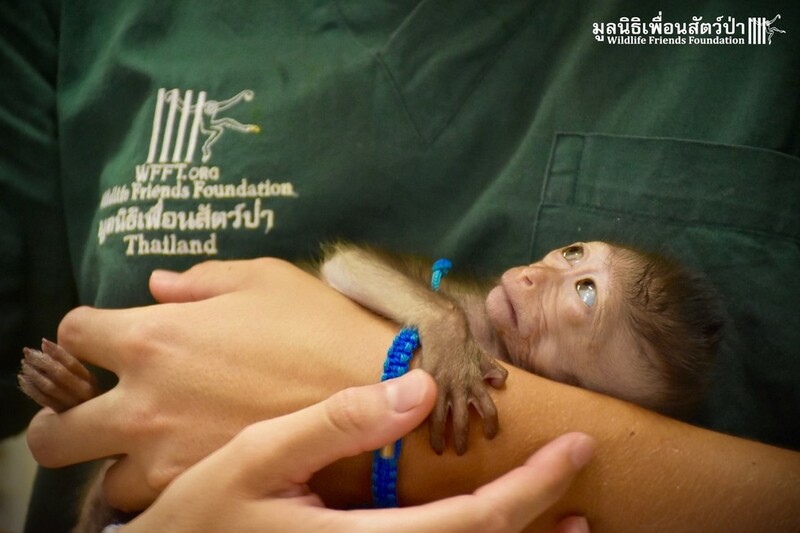 Thankfully, he was rescued by Wildlife Friends Foundation Thailand earlier this month. If it weren’t for them, little Phubai would’ve died from starvation if he wasn’t killed first by humans. 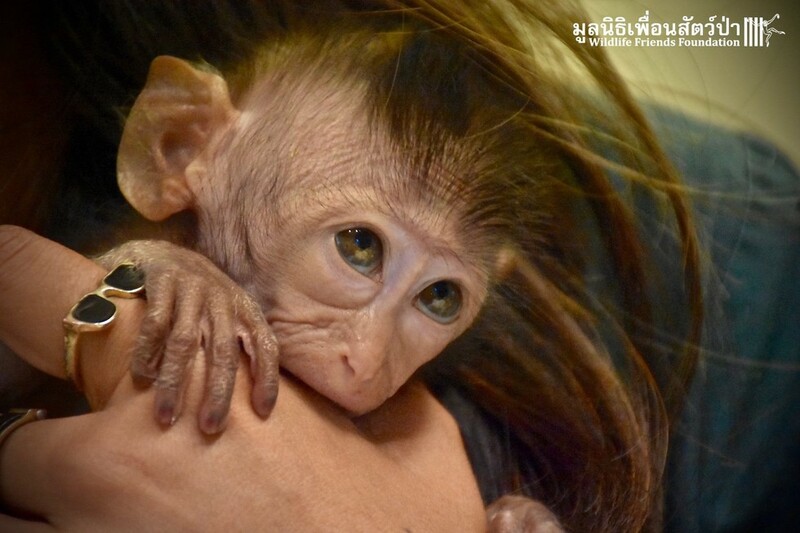 This kind of monkey is often bred in facilities and exported internationally to be laboratory test subjects. 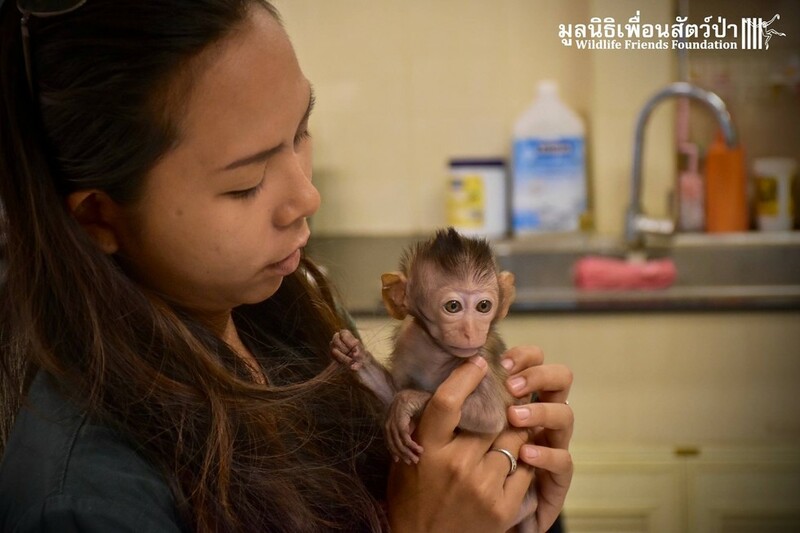 Some get sent into the pet trade and never get to experience life as a wild animal. The ones who do remain in the wild are threatened by habitat loss and humans who consider them pests. 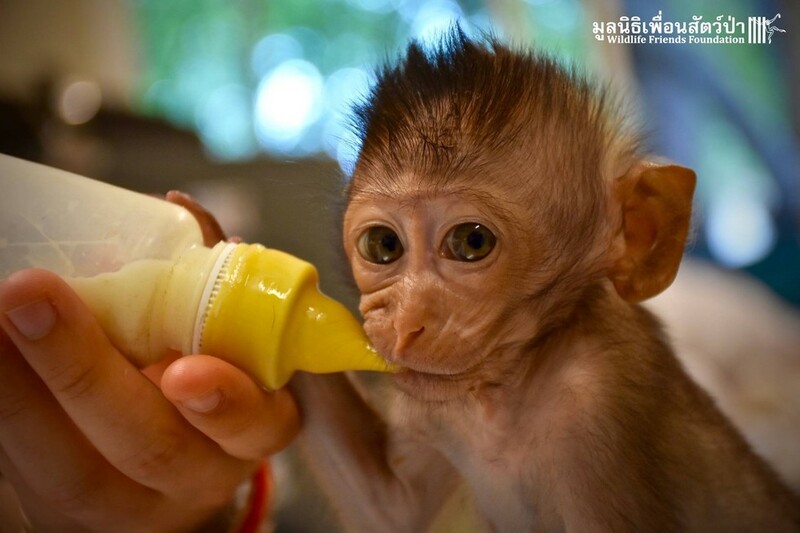 Now that Phubai is safe at the center, he got his first bottle and loved every second of it! He won’t ever have to worry about the humans who are taking over their land. 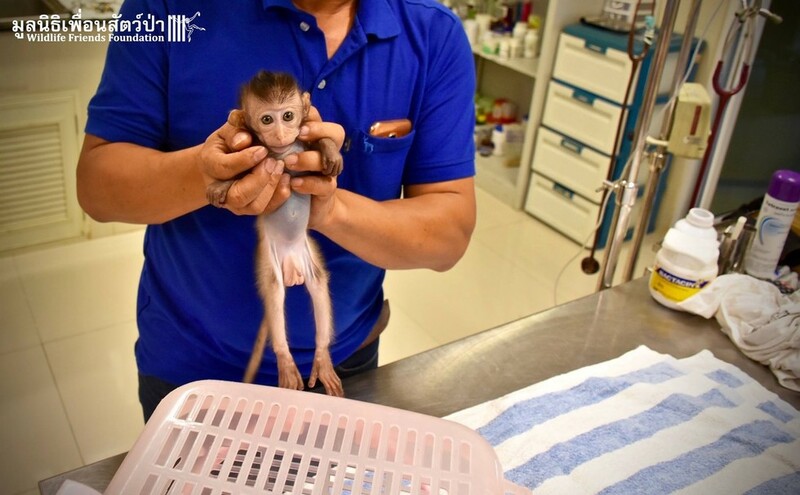 The program that controls their population is a “de-sexing program” where troops of macaques were caught in enclosures, de-sexed, and then released back into the wild. 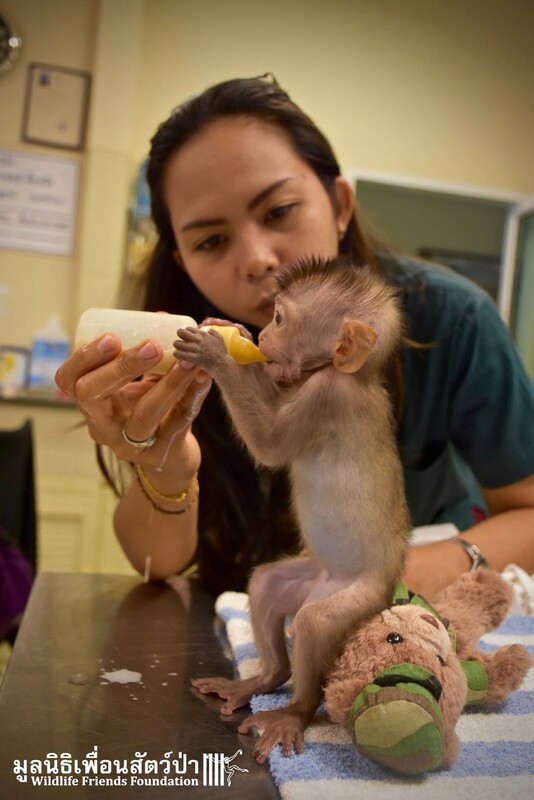 Now he is in the best hands and even has another infant long-tailed macaque, named Makood, who can keep him company. 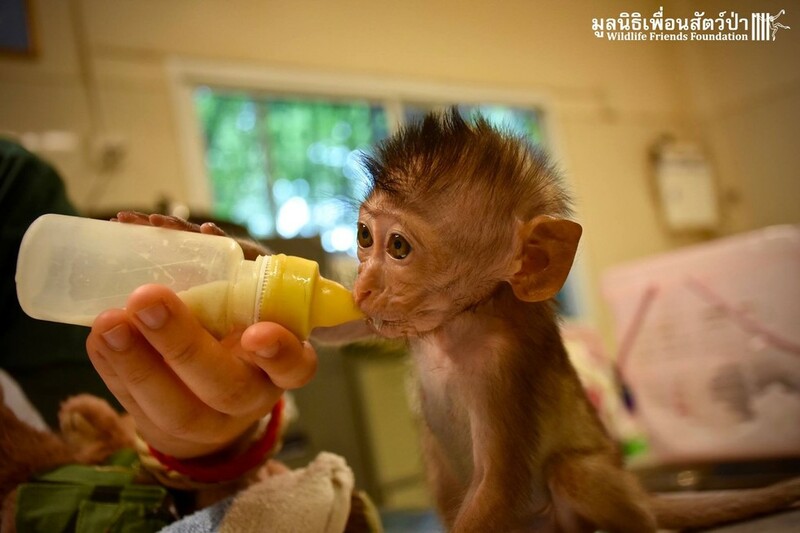 For now, he will just keep enjoying his bottles as he grows big and strong.